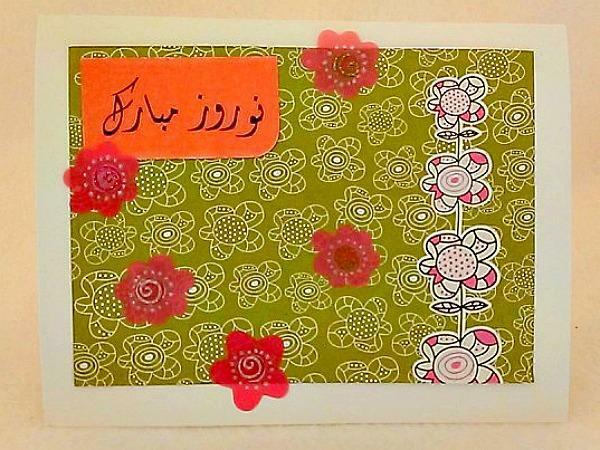 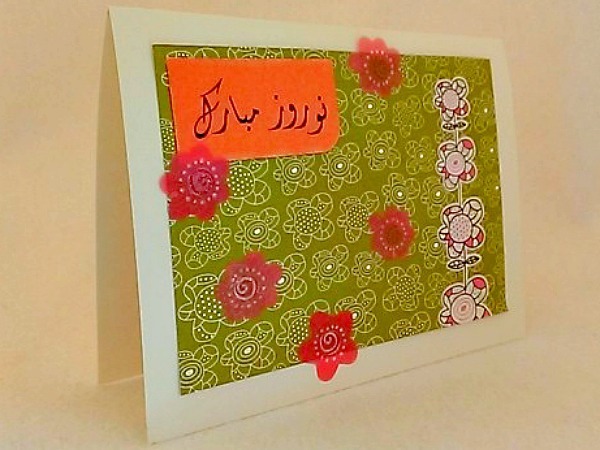 Nowrūz is Saturday, March 21, 2015 and this Farsi handmade greeting card is the perfect way to greet it. 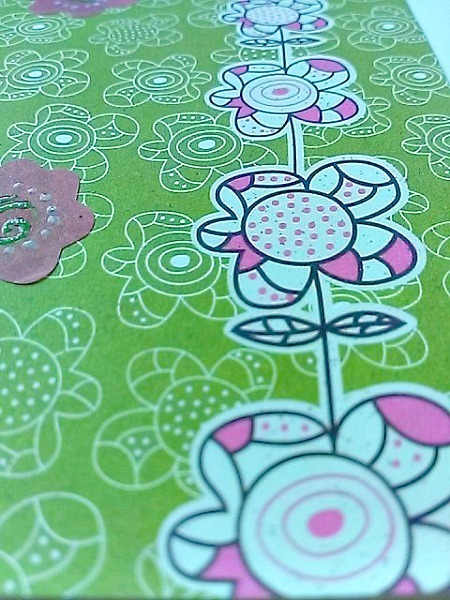 It features a beautiful green floral background with pink and white flowers climbing up a floral vine on the right. 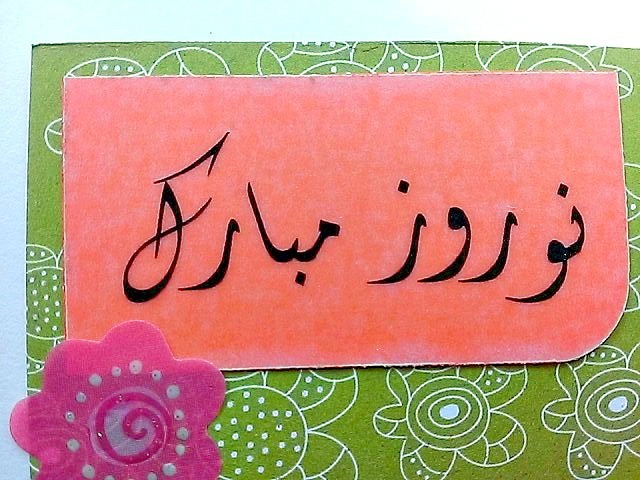 I've added the words in Farsi on vellum and attached it to orange cardstock. 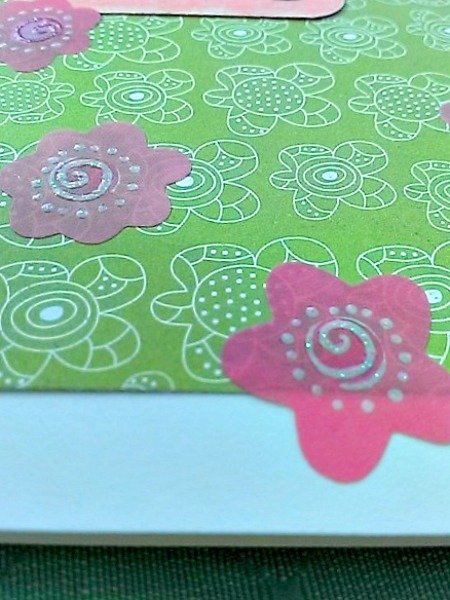 I've also attached five glittered vellum flowers for sparkle.